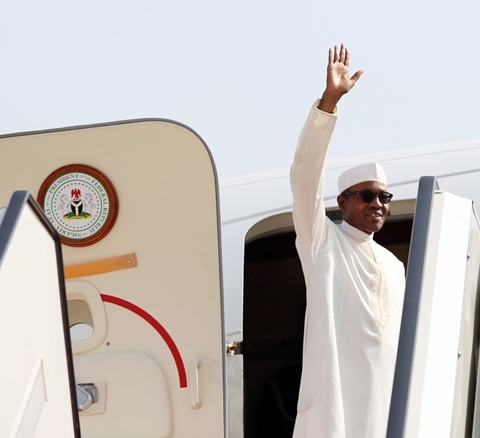 A photo which just emerged online reveals that President Muhammadu Buhari who travelled to the United Kingdom over his health condition, is fit and doing great after he was pictured inside a bus in London. A Snapchat user identified as simply as @aisosassy, has taken to social networking platform to share a photo of the back of a man who looks like President Muhammadu Buhari inside a bus in London, England. 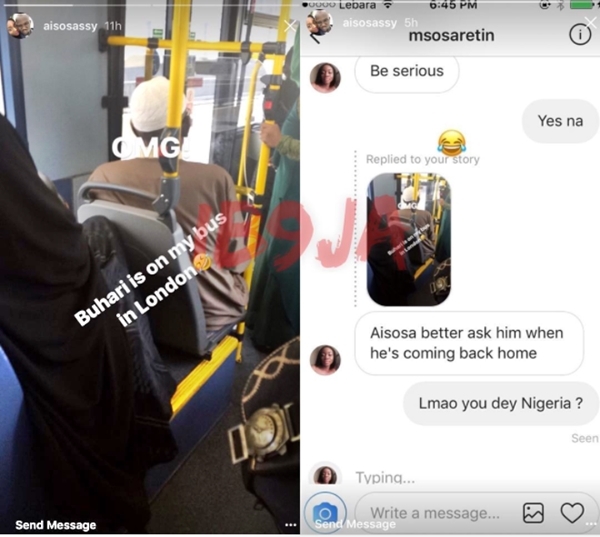 The snapchat user who sent the photo to an Instagram user, Osaretin Arhunmwunde, said that she spotted President Buhari on a London bus. The picture of a man wearing a brown jalabia and a white cap and the physique, from behind, looks like that of the president.